Inn on La Loma Plaza is a completely walled adobe hacienda with expansive grounds, towering trees and commanding mountain views and has been Four-Diamond rated by AAA for the past twelve years. The Inn features Southwest ambiance, attention to detail, casual elegance and exceptional hospitality, just 2 blocks from Taos Plaza. 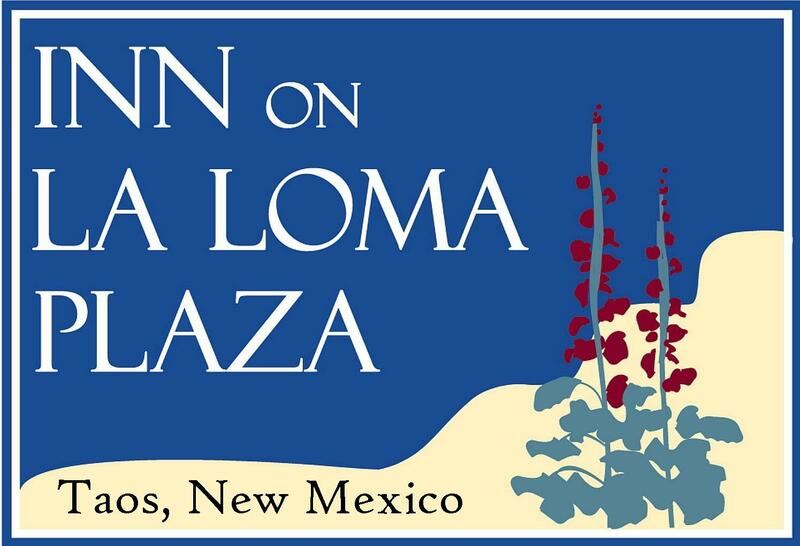 Situated atop a small hill the Inn is located in the La Loma Historic district adjacent to the Taos Plaza historic district, four miles from Taos Pueblo, nineteen miles from Taos Ski Valley and one hour and twenty minutes away from Santa Fe. Most of the first floor was built in 1800, when it served as the southwest corner of Plazuela de San Antonio, one of the first fortified plazas recognized by Spain in the New World. The hacienda is an outstanding example of Taos Pueblo Revival architecture (Santa Fe style) built with thick adobe walls, vigas, and latillas and is listed on the State of New Mexico and National Register of Historic Places. This Taos lodging accommodation has been beautifully restored and appointed with fountains, antiques, local art and features hand-carved wood details and an exercise room. The spacious guest areas feature high ceilings, hardwood and tiled floors, hand-carved corbels, vigas, latillas, fireplaces, fountains, lots of green plants and quiet corners. Each romantic guest room has its own distinctive ambiance, created by a combination of handcrafted furniture and fabrics in the vivid colors of the Southwest. You can see the town of Taos NM, as well as the peaks of the Sangre de Cristo range of the Rocky Mountains from inside the walls of this Spanish hacienda (estate).You can also enjoy Taos Ski Valley, hiking, biking, fishing, hot springs, whitewater rafting, cross country skiing, the Rio Grande Gorge and Taos Pueblo all located within a short drive from the Inn's front door. We invite you to stay with us in this wonderful Taos accommodations during your Taos vacation in Taos New Mexico and enjoy our serene surroundings, Southwest ambiance and exceptional hospitality at and one of the finest Taos lodging accommodations, Taos hotels, Taos bed and breakfasts and Taos inn accommodations in Taos New Mexico located near Taos Ski Valley and Taos Pueblo!